Beam is one of the largest central vacuum manufacturers worldwide. They have been producing central vacuum systems since the 1940's and are were the first to come out with a quiet central vacuum unit. They have a very powerful motor, and the units come with a mid range warranty. 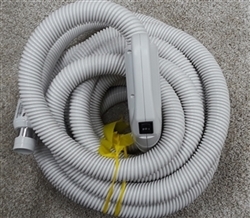 The Beam central vacuum units can be installed in homes that range anywhere from 1,500-15,000 sq.ft.